DODOMA- Tanzanian music star Diamond Platnumz real name Naseeb Abdul Juma has finally come out and announced that he is going wed his new girlfriend, a Kenyan radio presenter Tanasha Donna Barbieri Oketch as early as on Valentine’s Day February 14, 2019. The two have been rumored dating until they made their first public appearance last Saturday at the Jomo Kenyatta International airport where she welcomed him for a performance in Thika, Kenya. In an interview with Wikienda, Platnumz said that he has been harassed by several women basing on his past relationships and many feared he would just use and later dump them. He says it is only Tanasha that showed him seriousness about marriage and he would not want to extend it beyond early next year. “Tanasha is the only lady who showed me some seriousness on the (marriage) idea and I now officially announce that I am marrying her,” revealed Platnumz. He added that besides physical attraction, her babe is well behaved compared to anyone else he has dated. 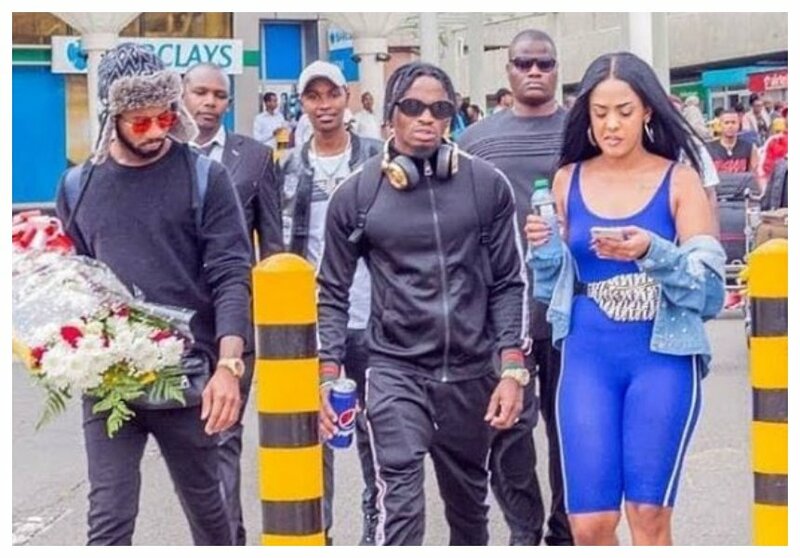 It should be noted that Platinumz has come dating and dumping several women who include Zari Hassan, a South Africa based Ugandan socialite and businesswoman with whom they have two kids together.